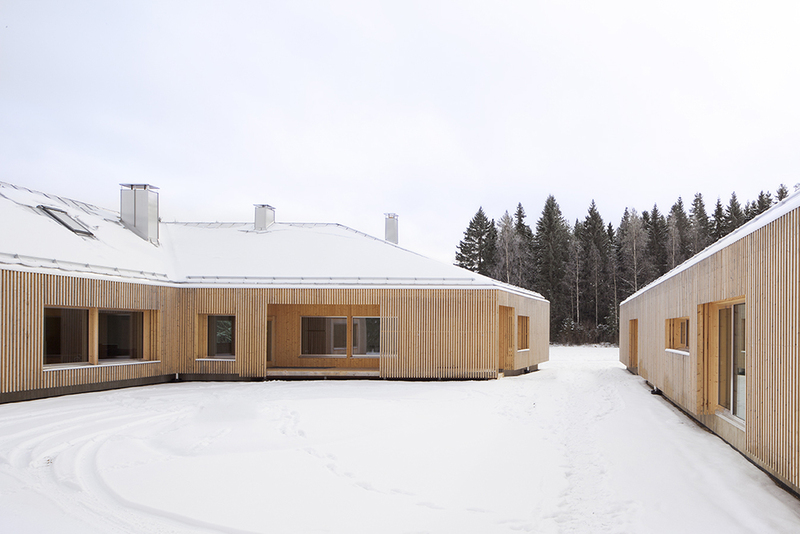 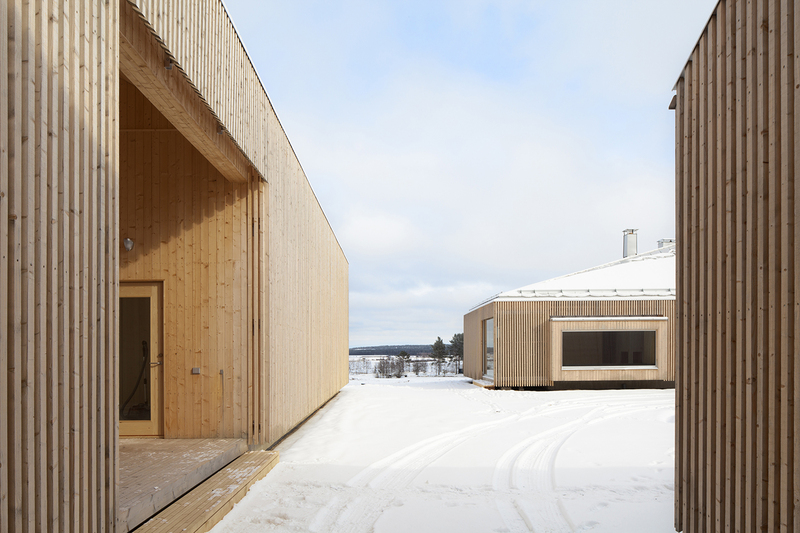 The building is located in Alajärvi, a small village in eastern Ostrobothnia in Finland, in a valley-like area next to a small island of forest on the side of a farm field. 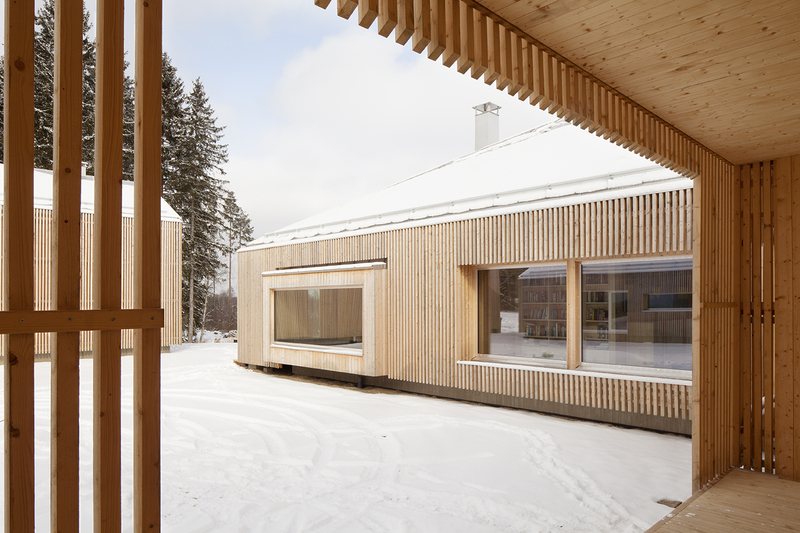 It was commissioned by a family of an entrepreneur father, an artist mother and two sons, who needed a house with spaces to live in accompanied with spaces for their hobbies and a studio to serve as an atelier. 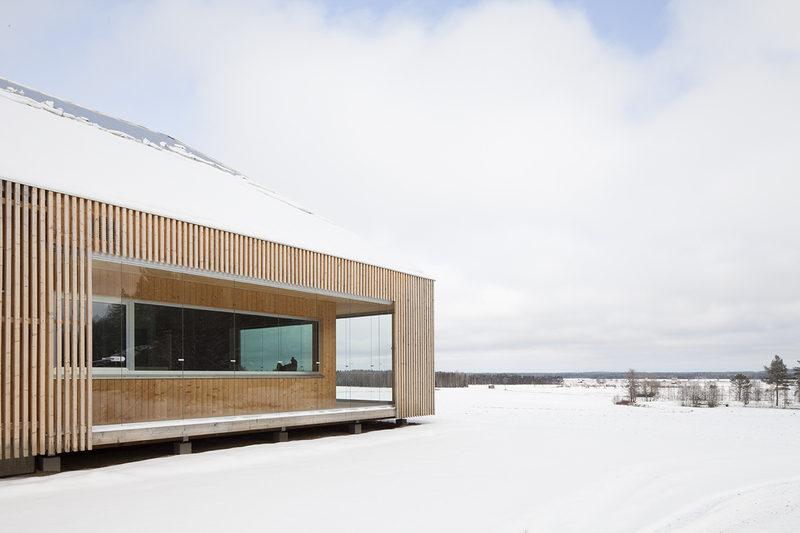 The house blends in with the surrounding landscape through its shape and materials. 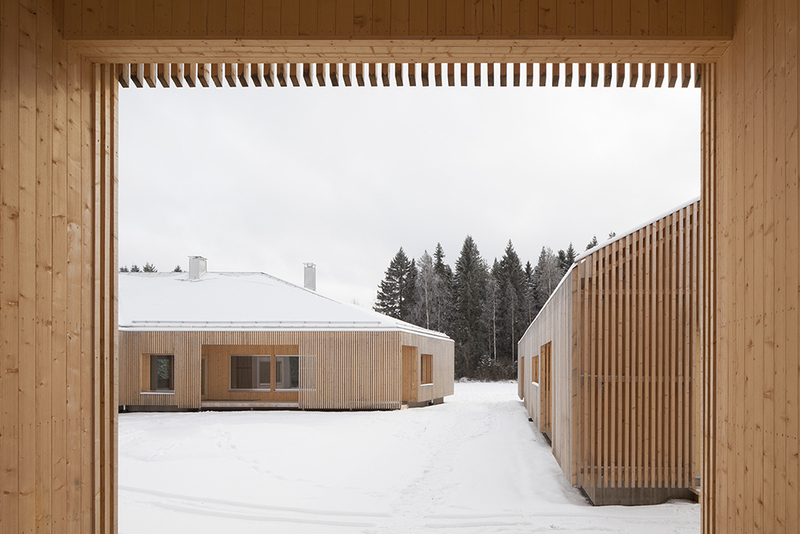 The composition subtly recalls the feeling of a traditional Finnish farm, in which wooden cottages were arranged so as to form a protected inner courtyard with the buildings facing the courtyard. 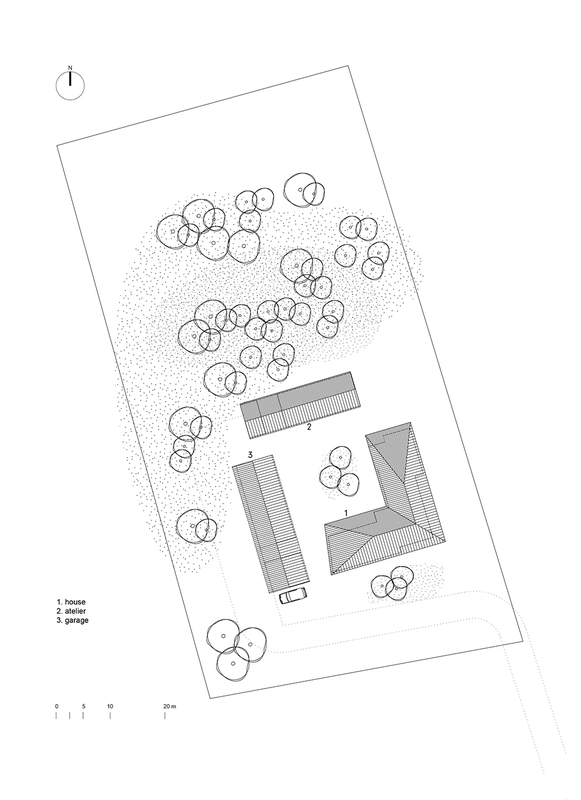 In this case, the three buildings, the house, the atelier and the garage, give shape to an intimate garden, creating an optimal microclimate around the house by minimizing the impact of the northerly winds blowing in the valley. 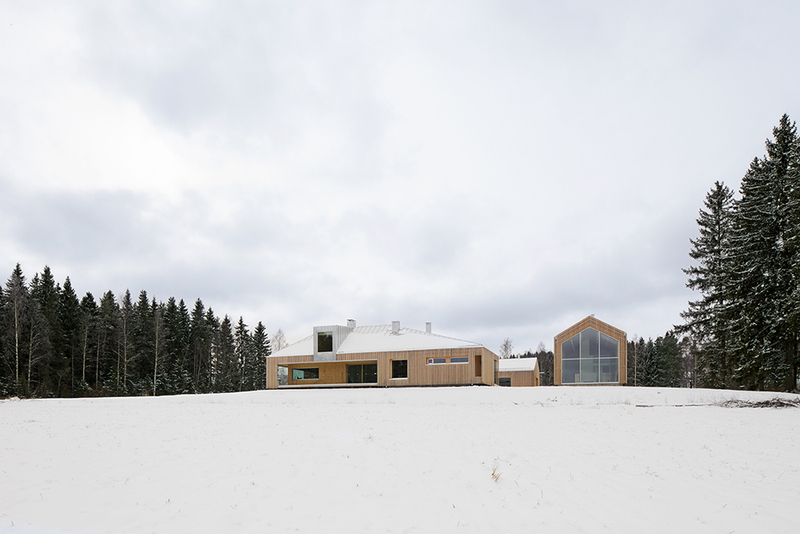 Being a low energy building, the L-shaped house is made of wood in its exterior, interior and frame, with large pitched roofs clad in aluminum reflecting the landscape in an unexpected way. 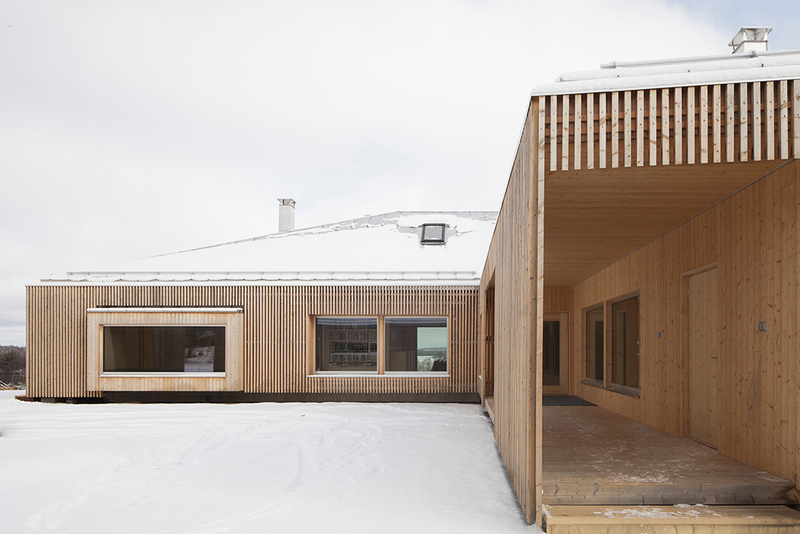 Compressed wood has been used for insulation and paper has been used for sealing. 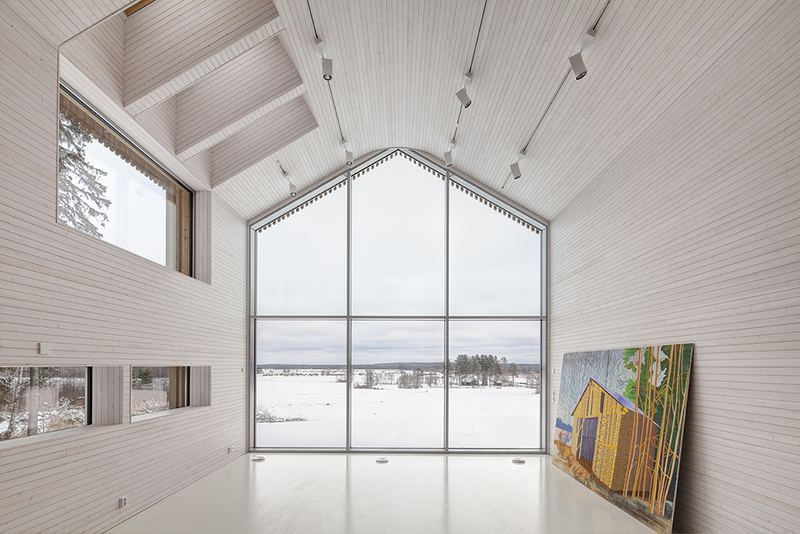 All metal parts in the building are made of untreated aluminum. 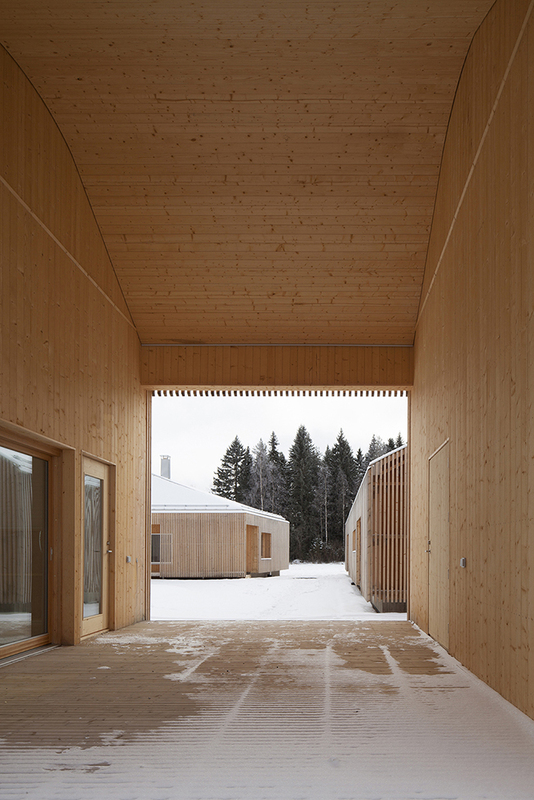 Materials and technical solutions create a healthy and ecological building which can be recycled when it reaches the end of its life cycle. 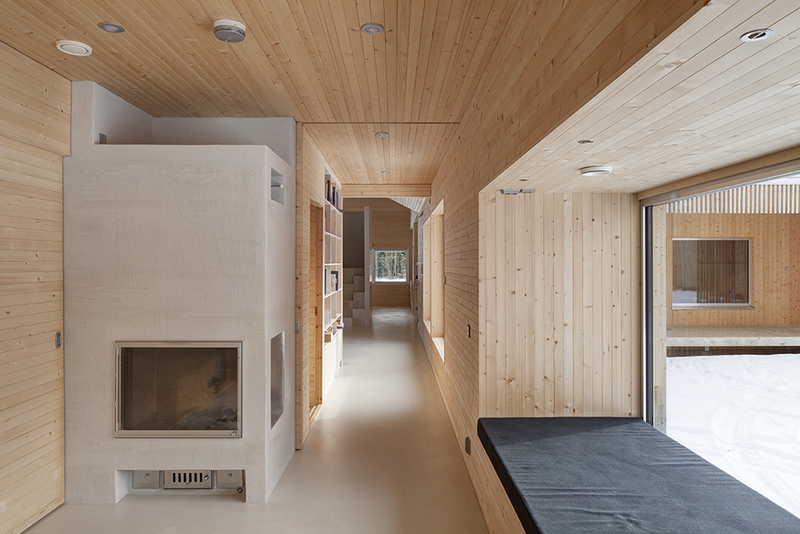 The entity can be heated with its four heat retaining fireplaces which also provide hot water for the house. 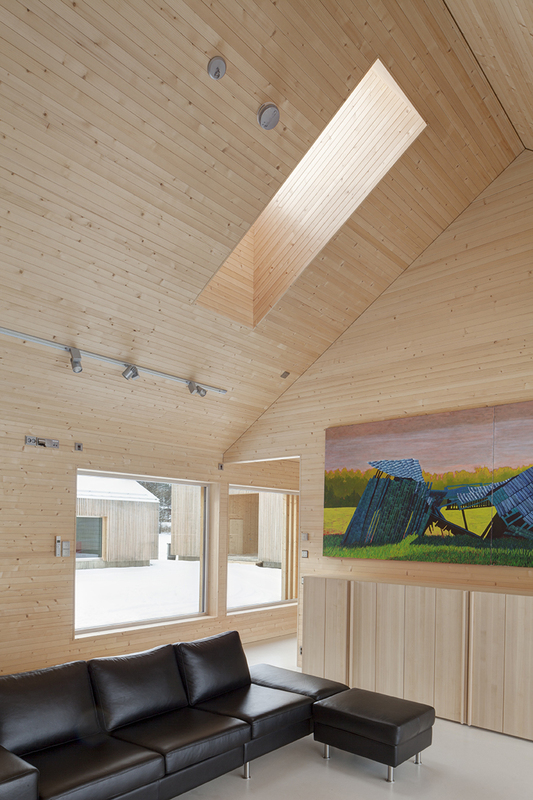 The lighting system in the house is supplied with batteries charged with solar power. 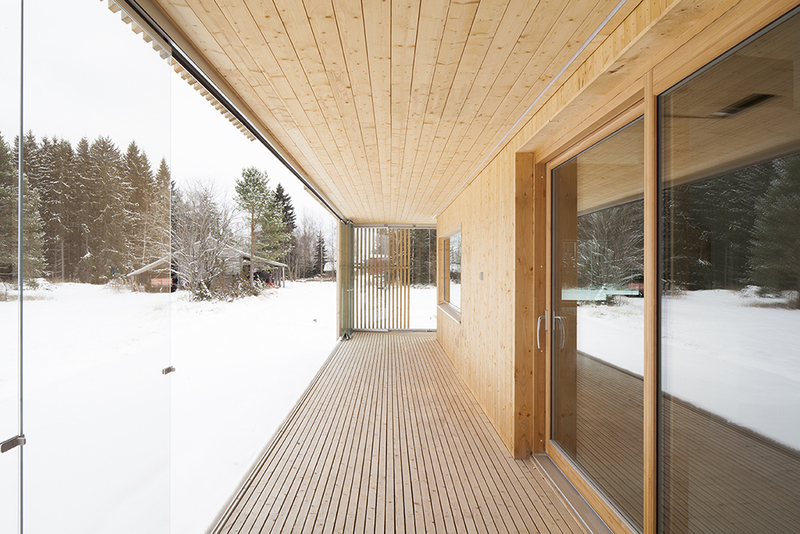 It is possible to live in the house without being dependent on the power grid and water and drainage grids. 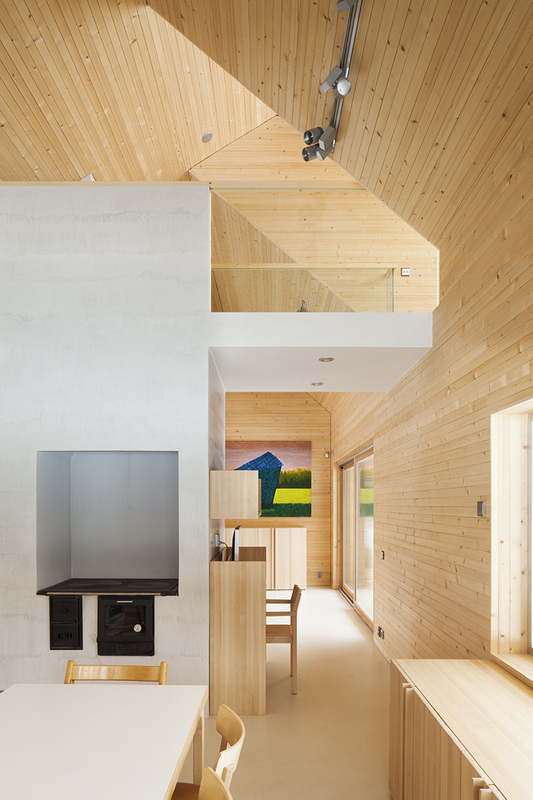 The interiors are arranged according to three different functions into areas with each their own atmosphere. 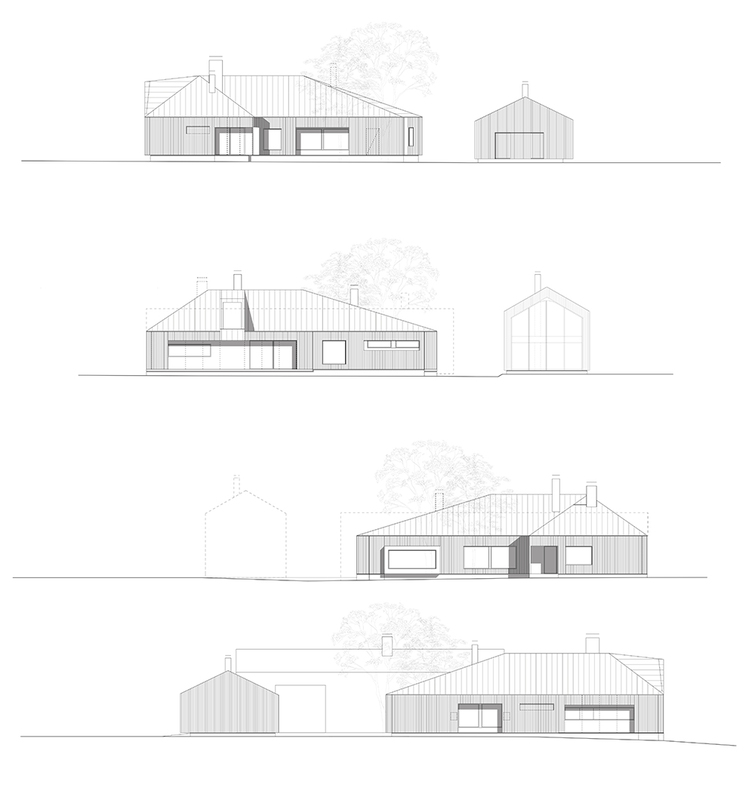 The garage and hobby space is very simple and has a sense of anonymity to its interior surfaces. 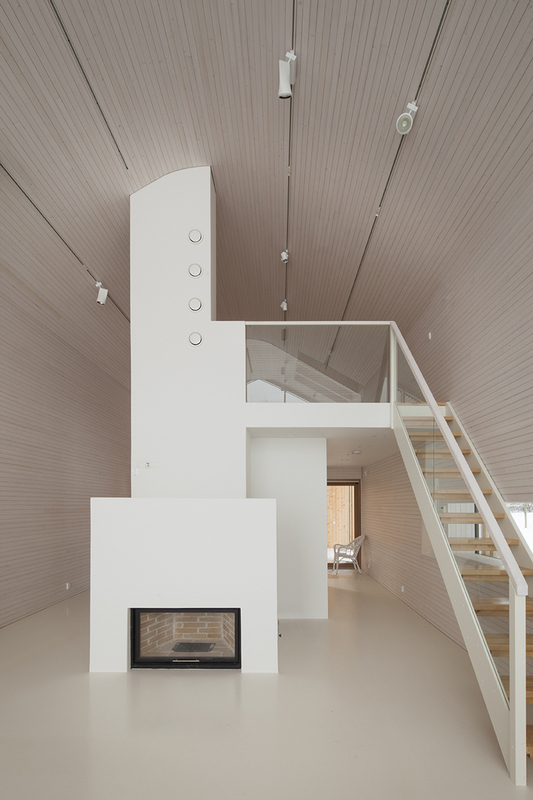 The atelier has very high ceilings and its wooden surfaces, even floors, are painted white in order to make the light as even as possible. 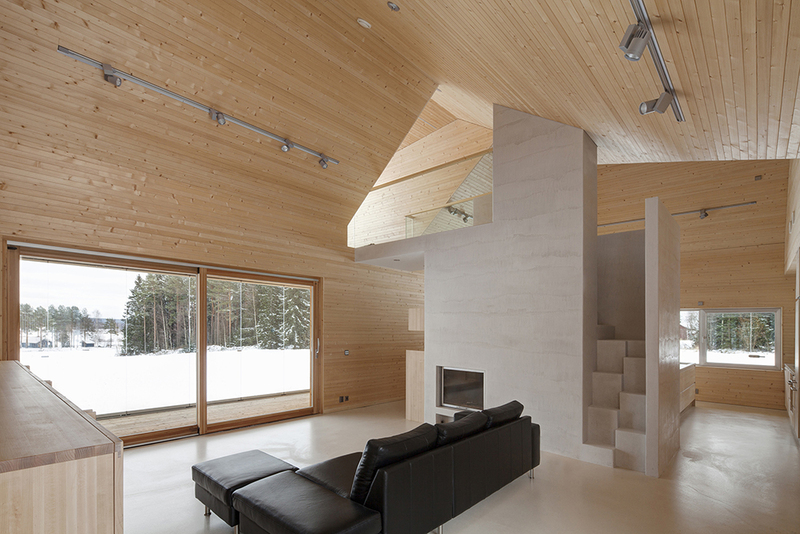 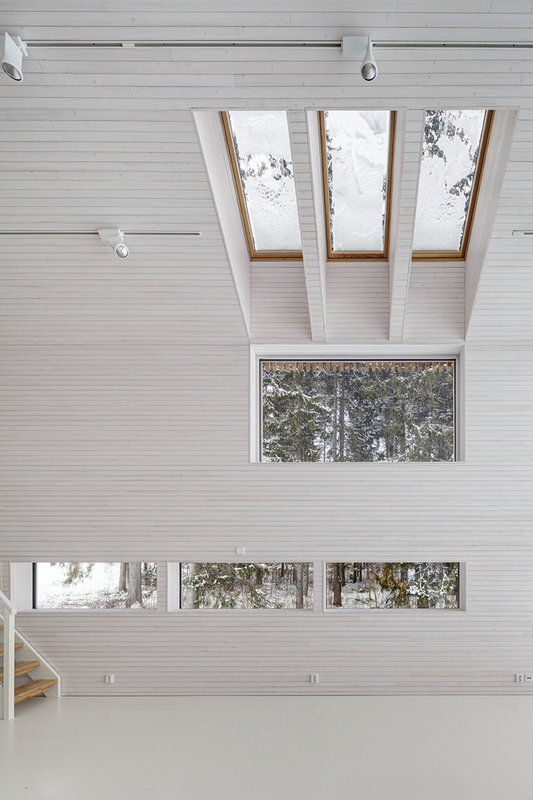 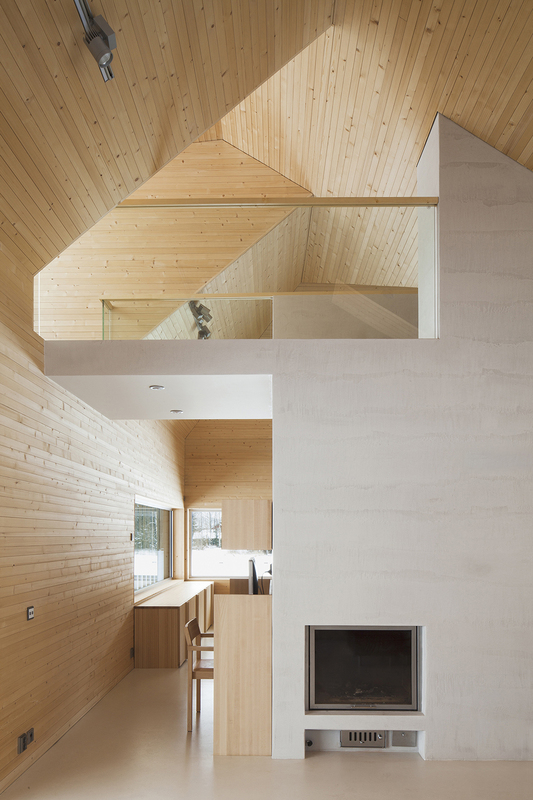 The interiors in the house, furnished and cladded in radially sawn spruce, provide a warm and cozy atmosphere. 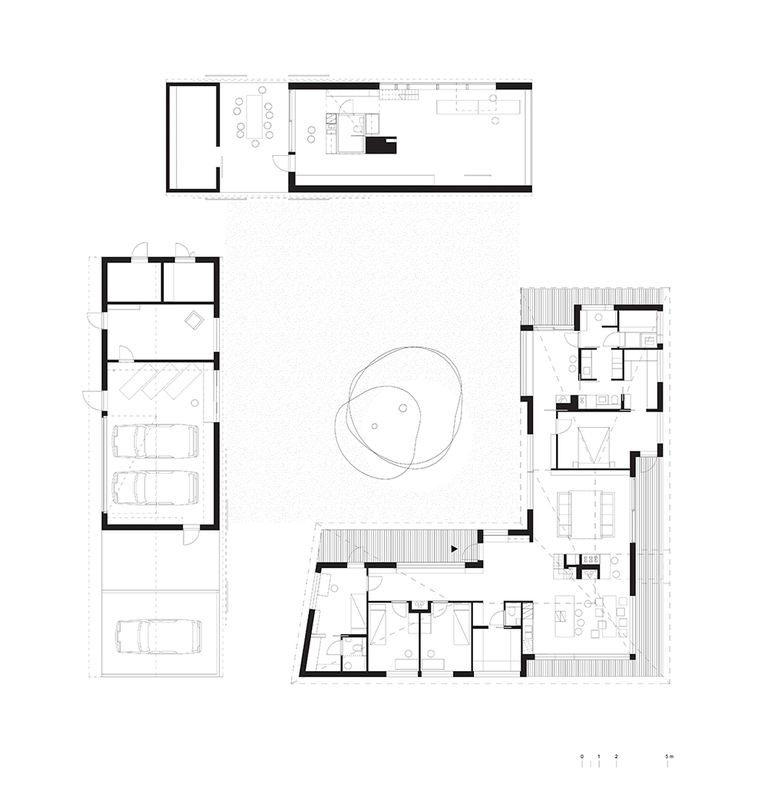 Its dwellers can enjoy the spacious living room and its central fireplace, climb on the mezzanine to contemplate the view over the fields, and use the large and furnished corridors as a play area or reading room, overlooking the inner yard through their wide openings.